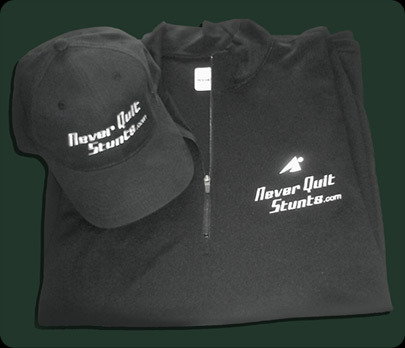 Get Your Exclusive Never Quit Stunts Gear. Never Quit Stunts gear is currently sold out due to demand. However, the new Never Quit Stunts gear, available in the next few weeks, is absolutely the best quality for all of the elements. If you wish to Purchase Our Gear, please let us know, we'll even contact you.